Note: this post contains some spoilers for the story leading up to (but not including) Drop 3. Fairly warned be ye. Even though Gracie is an explorer in-game, in real life I am a scientist. I generally have a love-hate relationship with the portrayal of science in video games, movies and television. This is due to the frequency with which several annoying stereotypes or tropes crop up, including the completely socially inept scientist, and the Frankenstein, “scientist tries to play god and causes destruction” trope. So I come to any sci-fi based game, especially one where “scientist” is player option for path content, with some trepidation. 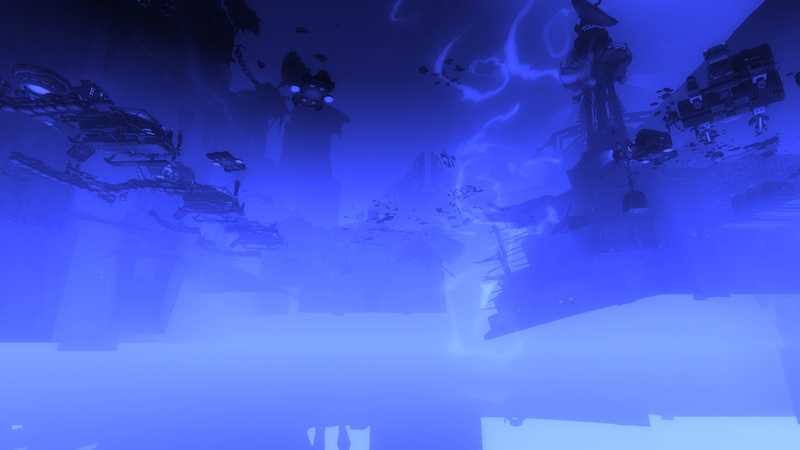 WildStar definitely plays into some of the tropes that bother me so much. The two player races with the strongest scientific minds? The Mordesh, who have meddled trying to create immortality and thus unleashed the ravenous upon the world, and the Chua, who take science to mean weaponizing everything and experimenting without petty worries like ethics. That’s not a great start. Then we have the Eldan, who have done crazy things to Nexus, manipulated the genetics of sentient races because of petty interpersonal squabbles, and oh yeah, meddled by trying to create a god and thus unleashed a horror upon the universe. Because using that trope once just wasn’t enough. Don’t get me wrong I love the Mordesh and I’m engrossed in the world story, but I could use less of the Frankenstein trope. 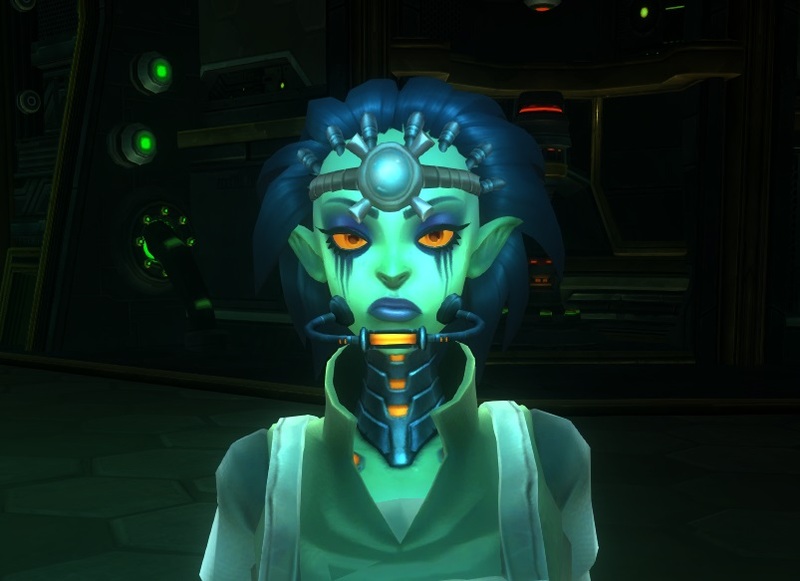 On the “socially inept scientist” front WildStar does a bit better. Yes, some of the scientists are a bit overly focused on their work, but there are so many scientists in the game there is plenty of room for all kinds of characters. I especially like seeing scientists from the “non-sciency” races, for example the Granok lady scientist who gives you a quest in Crimson Badlands. My favorite is the Granok scientist in Whitevale, who rightly points out that just because he’s a big burly rock man doesn’t mean he can’t be a good scientist. Lucy Lazarin, I’ll never forget you. Now another peeve of mine is that the number of women scientists and their portrayal in fiction is lacking. So imagine my delight at the sheer quantity of lady scientists (and soldiers, and spies, and leaders, and farmers, and and and…) in WildStar. I love them. I love Belle Walker and her dual scanbots. Yes they’re silly, but this week I learned from a loading screen tooltip that she created them with differing personalities so that they’d help her understand things from several perspectives. I think that level of care is just amazing, and it changed my mind from “Belle is slightly flakey and impulsive” to “Belle is more cunning than anyone gives her credit for”. The writers are trying to create a complete person here. Belle is young and sometimes reckless to be sure, but she is also incredibly smart and capable too. I had an absolute blast running alongside her in the OMNICore1 instance. 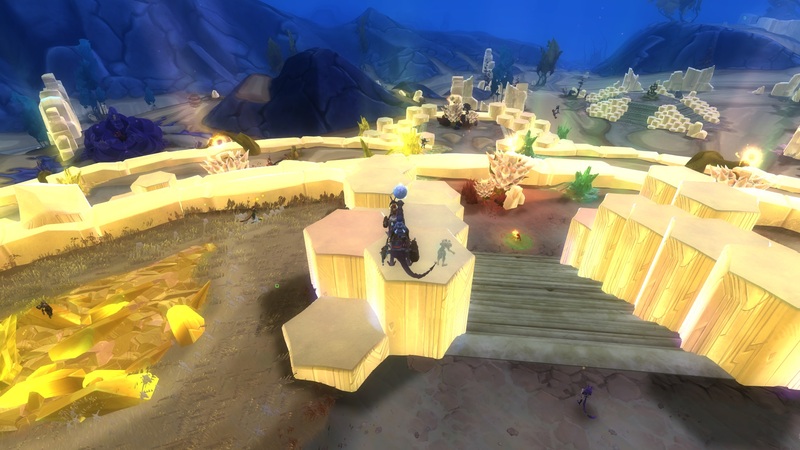 Next up is another place where WildStar disappointed me. I love Lucy Lazarin, and I hated what happened to her in Blighthaven. If I could sit down with (Carbine Creative Director) Chad Moore and ask him one question, it would be: why couldn’t that have happened to Victor, and Lucy have been the one to carry on his research? Or maybe something else entirely could have happened there. I mean, imagine the crazy universe where women don’t have to have horrible things happen to them to fuel the plot motivation for the men in their lives. I’m not going to dwell on this too much here, but let’s just say that I threw my rowsdower plushie across the room when I played through that quest, and that Lucy had interesting potential as a character and deserved better. I think that it is great that we get multiple father-daughter scientist or explorer teams in this game. Both Lucy and Belle fall into this category, and I can think of at least one more team (in Galeras) off the top of my head. Functional families that work together are not something you necessarily see a ton of in MMORPGs. However, it does strike me that we have 3 cases of father-daughter pairs. I would have really liked to see an instance where the senior person was a woman. Women are underrepresented at the highest levels in most occupations, and scientists are no different. Young women enter academic science in approximately equal numbers to men, but there’s a large amount of attrition as you progress from postdoc to senior faculty. 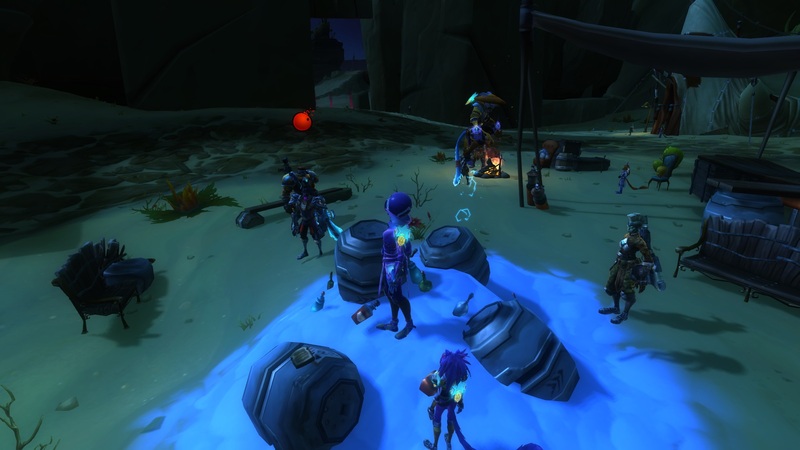 Unfortunately WildStar seems to mimic the real world in that sense. Having at least one of the family pairs with a mother taking the lead would have really meant a great deal to me, and would have sent a powerful message. The one place where we get to see some hints of a mother scientist are with Elyona. She was the Eldan tasked with raising Drusera. Unfortunately, we don’t get to see their relationship in too much detail since it took place before we arrived on Nexus, and the Elyona we see has been corrupted by the Entity. 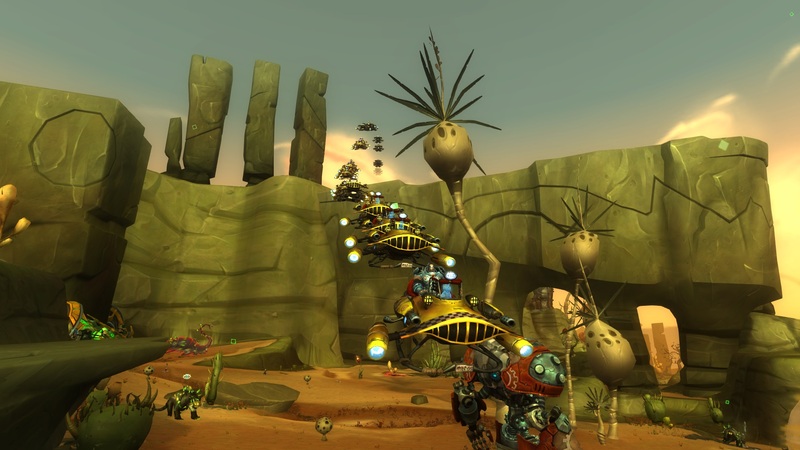 Overall WildStar certainly doesn’t do any worse than other media being produced right now. I feel like I am especially hard on it in some ways because it gets so much right and I want it to be even better. It makes me incredibly happy to be able to wander around in a world full of scientists of different races and genders. I hope this game keeps getting more thing right, and keeps feeling like a world that I want to be a part of. For Science. In just a few short hours Drop 3 will be upon us! 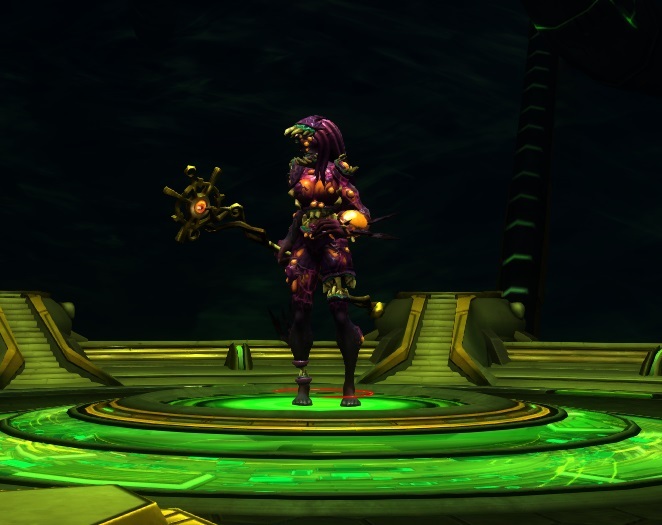 If you haven’t been following the WildStar news, Drop 3 is basically combining several months worth of content, tuning, and bug fixes. This means when the servers come back up we’ll have lots of new things to do, and also lots of changes to get used to. Hopefully nothing gets too broken in the process, but with a patch this huge I am sure there will be something that doesn’t go as planned. I couldn’t even say what I am looking forward to the most. There’s so much being added or changed that I hardly know where to begin. I think the increase to the decor limit is one of the best things, but I am also really looking forward to having new quests to run through. I have spent the past week trying to tie up some loose ends, in between running adventures and dungeons with my new guildies. I’ve managed to max out my reputation with the Guardians of the Grove, and I’m just 1 or 2 days away from capping out the Malgrave Research Initiative. This is extra good since there’s a whole new reputation to start working on tomorrow. Like Guardians of the Grove, I believe the new reputation will have an ability point unlock as a reward, so I want to jump in and get started on it ASAP. Importantly, it should also have architect blueprints for some strain-infested decor! I died and fell through Thayd. That was a new one. I have mixed feelings about the timing of this Drop. As some of you may have heard, there’s some other MMO releasing an expansion this week. The vast majority of my old friends have already been back in that MMO, getting ready to level and start raiding again in the new world. Having WildStar’s patch hit at the same time means that I will at least be distracted with new shiny things to do, so hopefully that will ease the longing for a time when my friends all played the same games together. On the other hand, it is a bit frustrating that all of the excitement of Drop 3 will be drowned out by the swarms of people playing that other game. It also means that some folks who might still want to give WildStar a chance will be long gone. Hopefully they will come back when the new expansion smell wears off in that other game. I’ll still be on Nexus, filling up my house with strain eyeballs and running my moonshine still. Whether you’ll be celebrating tomorrow with malevolent alien plagues or orc-based time travel, I wish you the merriest of patch days. May the servers come up on time, the lag be tolerable, and the bugs be few! Lots of people doing the R12 event leads to the best taxi trains! I’ve been so busy actually doing stuff in-game that I’ve been putting off writing about it here. The Megaserver seems to be a success as far as I can tell. The population seems strong and I’m slowly getting used to the fact that world bosses actually get killed and the R-12 event takes 15 minutes instead of an hour. An added bonus is that the AH is much more reasonable and active and people actually come and harvest my thicket for me so I’m not completely poor all the time! Finishing Malgrave Trail with a guild group! In other exciting news, I joined a new guild. While I have to say that Chili and Cornbread was one of the most positive guild experiences I’ve ever had, most of the awesome people that filled it have now moved on to other games. I felt incredibly guilty leaving the guild as I was holding down the fort but MMOs are social games and without people around my interest was fading fast. My new guild is Remnants of Hope (Entity-NA). I won’t ramble about them too much in case they change their minds about me at the last minute, but I’ve been having a blast since I joined. There are always people online to talk to, and I’ve run more group content in the past week than I had in the previous 3 months because there’s always something going on. I felt relatively content just doing my dailies and playing with my house while I was alone, but now I have a full buffet of content available and I realize how much I was missing. I know soon enough the vet adventures and dungeons will become old hat, but for now I am having a blast learning everything and pew pew-ing all the bad guys like the most bada$$ of cupcakes.